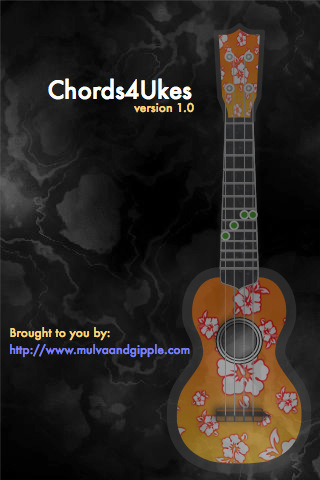 A few weeks a go Calven Eggert of Mulva and Gipple contacted me about a free (Yes as cheap as free) app for the iPhone called Chords4Uke. I don’t own a iPhone currently so I convinced one of my co-workers to install it on his phone, and have been stealing his phone for lunch to play with this wonderful little app. Side Note: This will work on an iPhone touch also, the tuner may have issues on some of the older ones that do not have a built-in mic, but remedied with iPhone head phones with the mic or attach one with one of the many adapters. 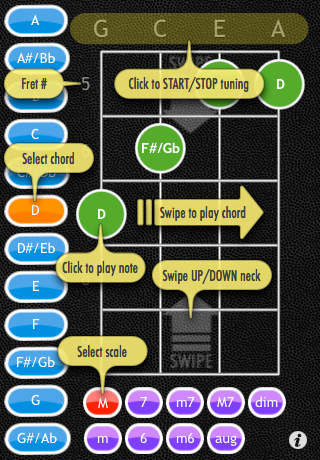 Great if you are like me and like to find new ways to play chords, like G, D, D7 are great at the second fret. A lot less movement of the fingers and more control over muting or jazzing things up. 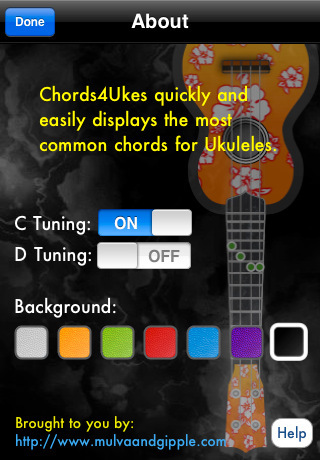 You can easily switch from C to D tuning, so if you are new to baritone you can actually play with the “regular” uke people. Simple to find the chord anywhere on the neck and add the 7th or augment it. Tuner is not perfect compared to my clip-on tuners, but it works in a pinch. And please comment below about what you think. Nice find Tim. This looks to be a winner. 1) you can not only hear the chord but also interrogate individual notes, and 2) it will almost always be in my pocket. Thanks! i use this on my itouch. 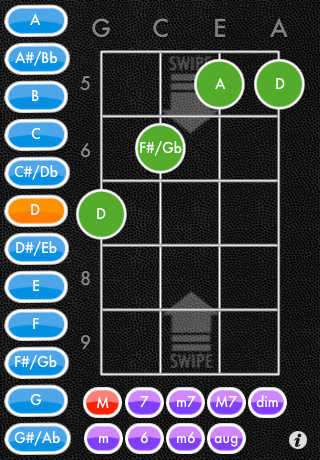 it’s one of the three tuner’s/uker apps that i goof around with. i don’t know anything about an iphone (mine’s coming tomorrow – i bought a 3g s refurbished -more fun) so i hope they have the same apps or more! i’m trading my partner, now i won’t have the itouch.